Masaryk University, located in Brno, is the second-largest public university in the Czech Republic. At present it comprises 9 faculties with over 200 departments and institutes. 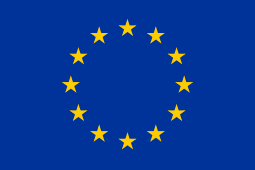 MU is involved in a wide range of research programmes taking place in the European Union and other countries. The Faculty of Social Studies is an academic unit within the university which focuses on both education and research in the fields of Sociology, Political Science, International Relations, European Studies, Psychology, Media Studies and Journalism, Social Policy and Social Work, Environmental Studies, Gender Studies, Social Anthropology and Strategic and Security Studies. Individual degree programmes are based on the internationally recognized credit system (ECTS) and provided at the Bachelor’s, Master’s, and doctoral levels. Research in the Faculty of Social Studies is organised under several separate institutes: The Institute for Public Policy and Social Work carries out research into areas such as social inclusion and exclusion, poverty and unemployment as well as policies in these areas that became part of the EU agenda and national public policy. This Institute cooperates with The Research Institute of Labour and Social Affairs, a department that is affiliated to the faculty. The Department of Social Policy and Social Work is closely cooperating with both of these institutes with a focus on social policy issues. The other research institutes are The Institute for Comparative Political Research and The Institute for Research on Children, Youth and the Family. Recent research projects were supported by the Czech ministries, Czech Grant Agency, JEAN MONNET programme and by FP6 and FP7. MU will be co-leading WP3 together with UPSPS and WP8 with UB. MU will contribute to all other WPs, except WP6 and WP7.